more like a natural river for salmon to survive and recover. Feisty and quotable former Oregon Gov. Tom McCall once said that if salmon and steelhead are running, "God knows that all is well in His world. ... The health of the environment is good if the salmon and steelhead are around. It is that simple." The late governor was right, of course. Salmon and steelhead are excellent barometers of the health of our lands and waters. Robust salmon populations also support tribal, commercial and recreational fishing economies, creating thousands of jobs and circulating billions of dollars through our regional economy. The fall chinook and sockeye that roiled Columbia waters this season would have pleased Gov. McCall. While he would celebrate the blessings these returns bring, he would still recognize that not "all is well." Many salmon populations in the Columbia and Snake rivers remain at serious risk of extinction. Court-ordered spills -- water flowing over the dams, rather than running it through turbines -- and Mother Nature are the two main factors in this year's big returns of fall chinook and sockeye. Since 2006, in the face of strenuous opposition by the agencies charged with protecting salmon, the state of Oregon, the Nez Perce Tribe and salmon advocates secured court-ordered levels of spring and summer spill that helped young salmon migrate quickly and safely through the gantlet of federal dams in the Columbia Basin. Higher river survival means higher ocean survival and more returning adults in the following years. Salmon also benefited from favorable ocean conditions, but received their real boost in the form of above-average snowfall that led to high levels of spill. In fact, recent high snowmelt levels often left dam operators with no choice but to spill at levels far above what the court required -- benefiting the fish greatly. These lucky migrants then arrived at an ocean full of food. Favorable weather drives nutrient upwellings that enrich the coastal food web and increase salmon survival. The 1.4 million fall chinook returning this year include the grandchildren of fish that enjoyed both increased spill and good ocean conditions starting in 2006. High spill in 2011 and 2012 have fall chinook responding with levels not seen in decades. We need to pay attention to what these fall returns are telling us! Unfortunately, 13 Columbia and Snake River stocks listed under the Endangered Species Act remain far from recovery. Recent ocean conditions (beyond our control) and spill (our best management tool short of dam removal) have slowed population declines for now, but neither has pulled them back from the brink. The lessons from high spill need to be applied to truly recover these populations. 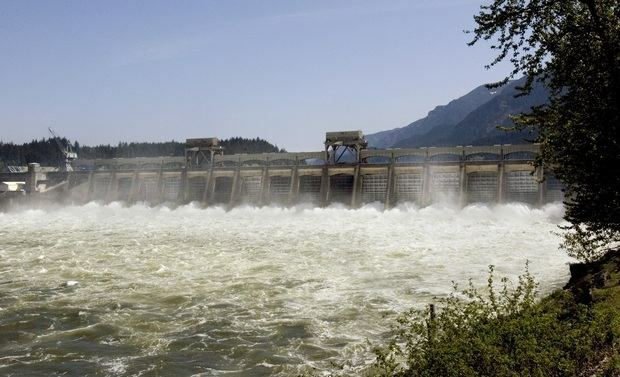 National Oceanic and Atmospheric Administration Fisheries, the Bonneville Power Administration and the other agencies charged with protecting and restoring these imperiled stocks continue spending millions of taxpayer and ratepayer dollars each year on projects of limited benefit. Based on 20 years of data and real-world returns, regional scientists support expanding spill and managing the hydro-system more like a natural river -- what salmon need to survive and recover. Accidental progress, however, is not victory. Special interests issuing celebratory news releases on the return of two healthy populations this year cynically gloss over the fact that many ESA-listed stocks are still at serious risk. Rather than supporting scientists' call for expanding spill, they continue efforts to reduce it. This year's chinook and sockeye returns remind us of salmon's resilience when provided what they need. We must protect and build upon on what we've learned to help other troubled runs. That's why salmon advocates, the Nez Perce and Oregon are back in court to continue fighting for endangered salmon and steelhead and to secure a healthy river and the habitat they need to recover and thrive. Northwest salmon and steelhead deserve more from us than a lucky break from Mother Nature. We're confident Gov. McCall would agree. Liz Hamilton is the executive director of the Northwest Sportfishing Industry Association. She is based in Oregon City, Ore.
Joseph Bogaard is the executive director of the regional coalition Save Our Wild Salmon. He is based in Seattle.